CAN COLD WEATHER AFFECT RADON LEVELS IN YOUR HOME? 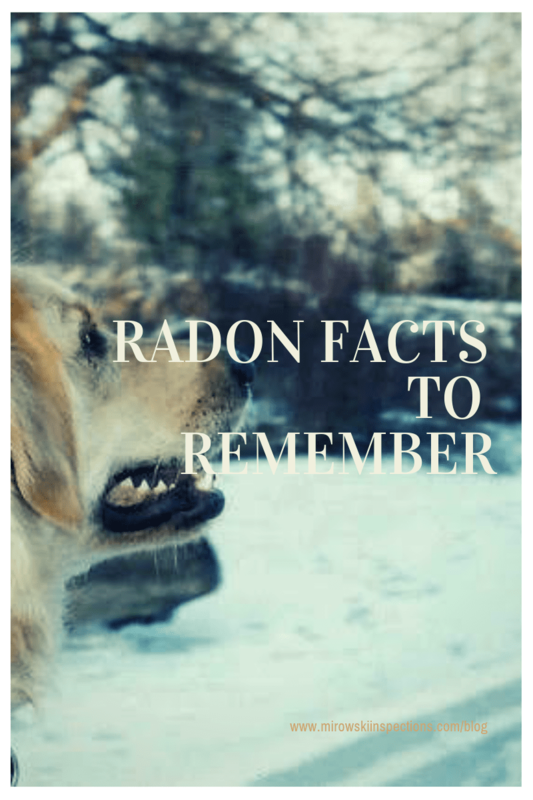 Radon gas occurs naturally in the soil and seeps through ground and into the atmosphere. Unfortunately, during the winter months, the ground around your home can become saturated with water and freeze, blocking the flow of radon into the atmosphere and directing it into your home in higher concentrations. In addition our windows are closed and we are using of the furnace to keep warm which encourages what is called the stacking effect. This means, when the home heats up, the hot air is pushed up and out and the cold air from the foundation is drawn in making it more likely for radon gasses to be pulled up from the foundation space along with the cold air. Winter is a good time to test for radon because you are, in-most cases, measuring the worst case scenario for your home. With the hatches battened down and the furnace running, you are creating a scenario that can cause radon levels to be higher. You should know what these levels are under these conditions. Radon is a very real issue for homeowners to keep in mind both when first purchasing a home and maintaining one over the years. There are a few different issues that can affect the overall radon levels in your home and cold weather is one. You shouldn’t fear testing for radon gas. Every radon problem can be fixed with a properly installed radon mitigation system. January is National Radon Awareness month in the United States. If you have never checked your home for radon, consider doing it now. If you have tested for radon levels before, you should also know that radon levels need to be measured at least every two years. If you have a radon mitigation system already installed, you should recheck the radon levels often to make sure the system is working. Radon test should be a part of normal maintenance of a radon mitigation system. These systems can fail during winter months due to condensation freezing in the pipes, snow capping the vent stack or even tripped GFI outlet. John Ruskin must have been visiting Southwest Missouri when he said “Sunshine is delicious, rain is refreshing, wind braces us up, snow is exhilarating; there is really no such thing as bad weather, only different kinds of good weather.” Enjoy the winter and get your home radon tested!